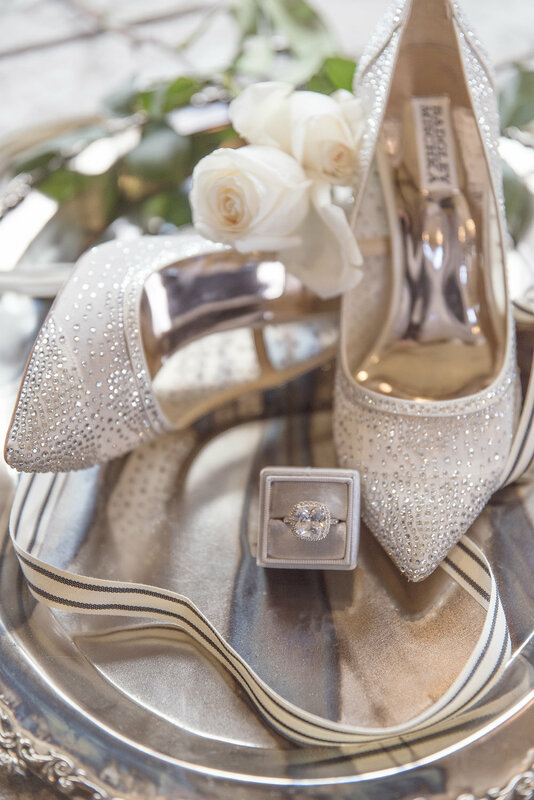 Have you noticed that a black and white wedding color palette is probably the least popular? We get it. But, we have also noticed this color scheme is gaining some momentum. And why not? It simply has so much chic and classy potential. 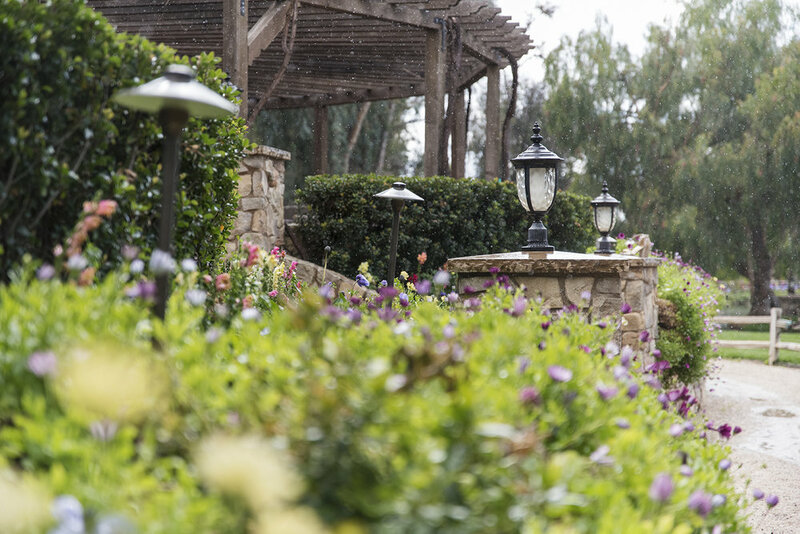 It’s one reason we jumped on this morsel of inspiration with Studio 2053 Floral and Event Design and Enticing Tables at the Lake Oak Meadows Wedding Venue at Vitagliano Vineyards & Winery. That and well… we are never one to pass up a great cake like this gorgeous formal cake with edible roses by Eat Your Cake Too. 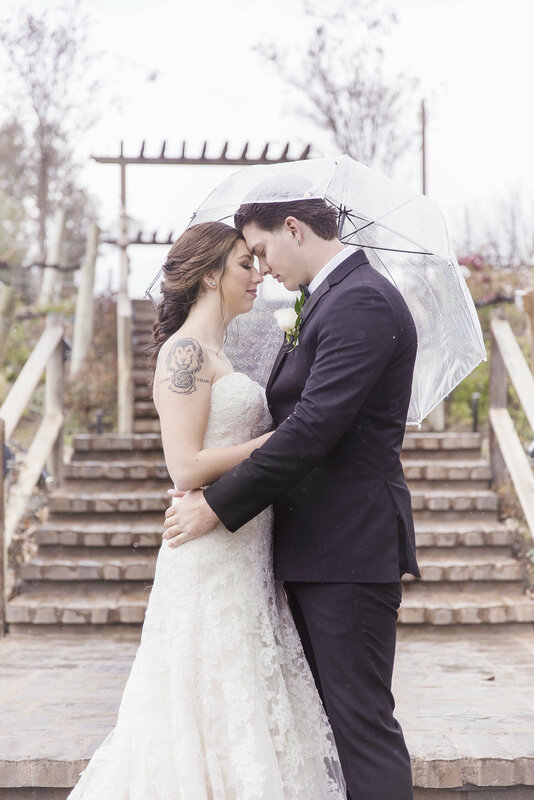 Despite a bit of rain on this styled shoot day, Trudy Moylan Photography managed to capture some perfect little setting showcasing just how a black and white wedding color palette has a timeless look. 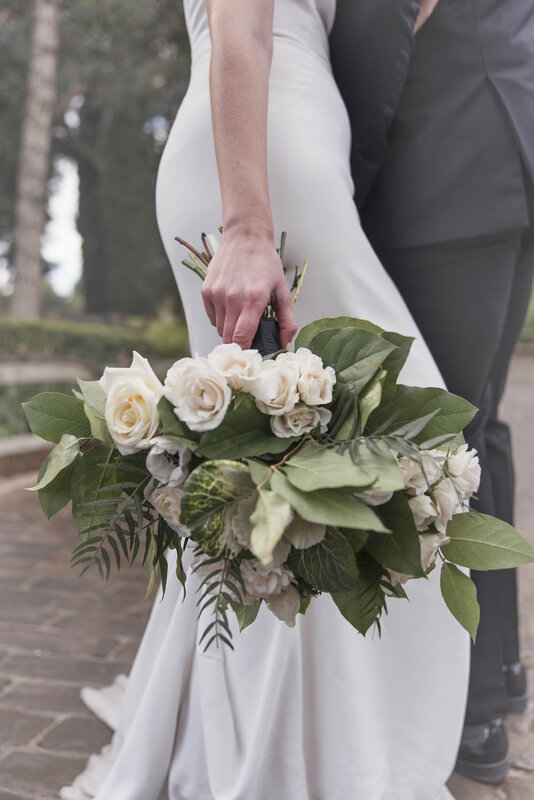 If you are all about a black tie formal affair, a black and white wedding color palette is one dramatic way to make a statement with that theme. No matter if it’s a ballroom grand affair or an outdoor soiree. 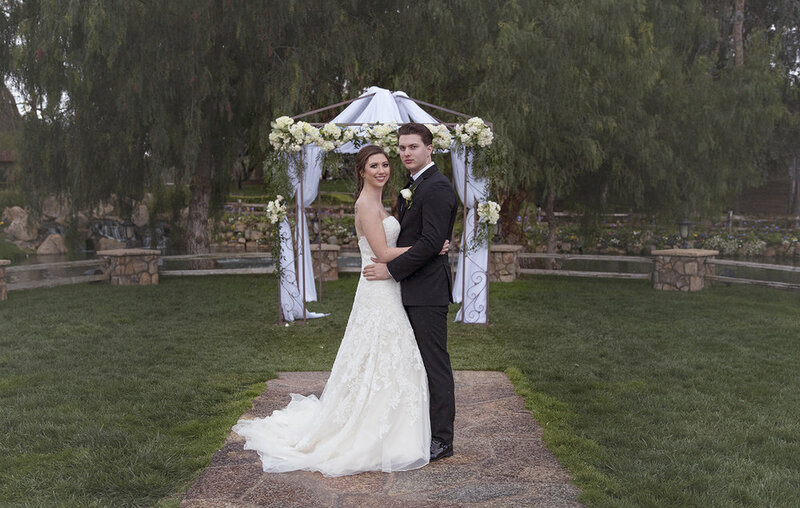 Bringing in a simple color scheme gives tons of opportunity to a bride and groom – as well as the vendors involved. 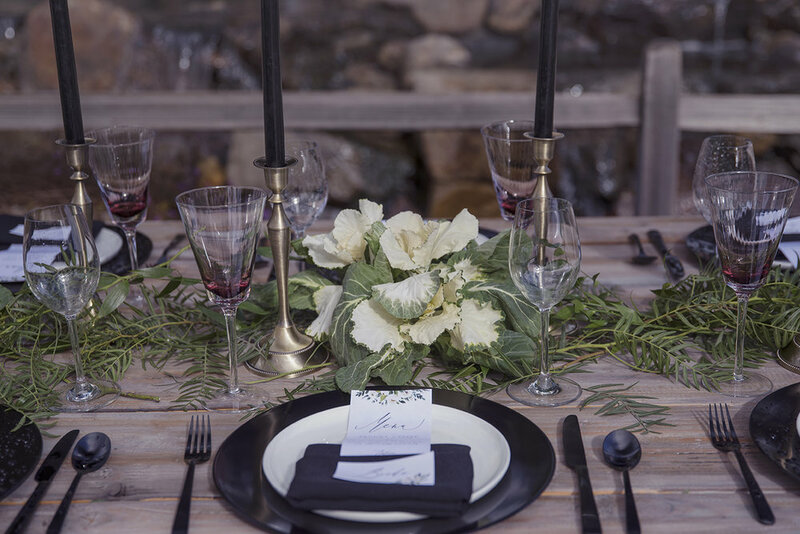 Take this black and white tablescape with its simple elegance. A fabulous floral installation stands tall over the table cascading in lush blooms that are mirrored in lower arrangements. The same blooms are used in a sweet ceremony staging with billowing white fabric and a touch of geometric shape that gives and visual appeal. 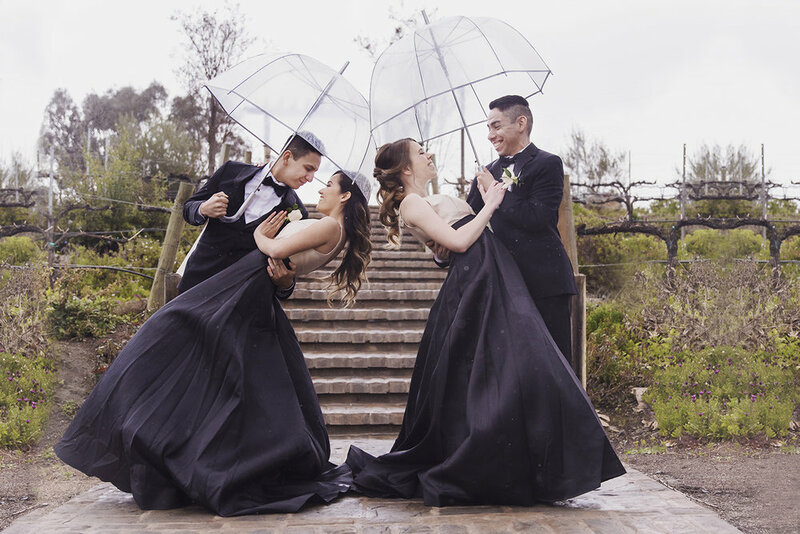 Then to compliment the overall theme the bride’s squad looks glamorous in black and white gowns from fashion designer Mac Duggal – known mostly for their prom wear. But, how fabulous do these dresses translate for a chic assemble by the bride in her show stopping Essence of Australia gown. 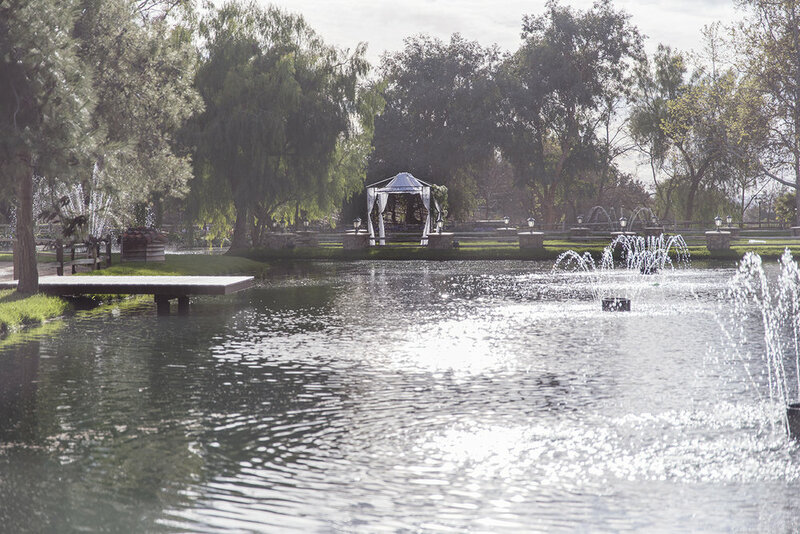 We always come back to a simple black and white wedding color palette because it just has that go-to stand the test of time vibe.